This volume contains edited contributions from the speakers at the NATO Advanced Research Workshop on "DNA Repair Mechanisms and Their Biological Implications in Mammalian Cells" held October 1-6, 1988, at the Abbaye Royale de Fontevraud, Fontevraud France. The meeting was dedicated to Paul Howard-Flanders (Yale University, New Haven, CT. , 1919-1988), whose seminal con- tributions to the DNA repair field include the cO-discovery of the excision repair pathway, the elucidation of post-repli- cation repair in E. coli, the isolation of the lexA and recC mutants, and his extensive work on the enzymology of RecA. A plethora of recent developments in DNA repair mechan- isms and related processes in mammalian cells have advanced our understanding of this field in a number of different areas and have given new emphasis to the ways these systems both resemble DNA repair processes in other groups of organisms in some respects yet are strikingly different from them in others. 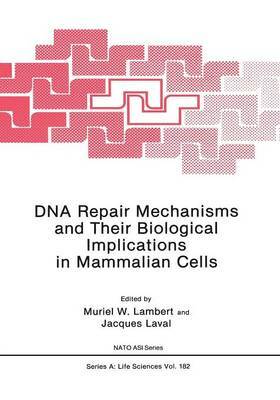 Within the past decade there have been a number of international conferences on DNA damage and repair mechanisms but none has been focused on these processes in mammalian cells.